The man and woman died in separate incidents on the first day of the festival. 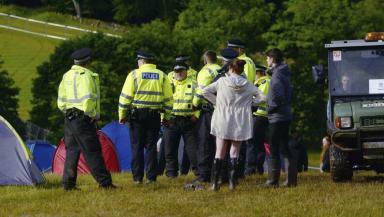 Two teenagers have been found dead at T in the Park in separate incidents. The man and woman, aged 16 and 17, were found dead at the music festival in Strathallan in Perthshire. Police Scotland said the circumstances of the deaths are still unclear. 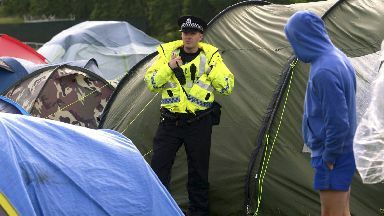 A spokeswoman said: "Police Scotland can confirm we are investigating reports of the death of a female and the separate death of a male at T in the Park. "The deaths are unexplained at this time and work is ongoing to establish the exact circumstances surrounding both. We are unable to comment further at this stage." The festival opened its gates to campers arriving on Thursday ahead of the main arena opening on Friday. Festival director Geoff Ellis said: "We are shocked and saddened by today's news and our thoughts are with the families and friends at this time. We are offering our full support and assistance." Information for anyone attending T in the Park is available on the festival website.